Google, an American multinational technology company, and Levi’s, a clothing company, have been working jointly on the smart Jacquard jacket for a while now. The latest feature that has been added to the smart garment will stop the wearer from leaving the phone behind by mistake. The feature, may sound a little tender, is called ‘Always Together’. It is an automatic alert that will go off if the jacket moves too far away from your phone, and notifications are sent on both ends. With this feature, the wearer’s phone will get a notification, and the jacket’s signature sleeve tag will also blink and vibrate. 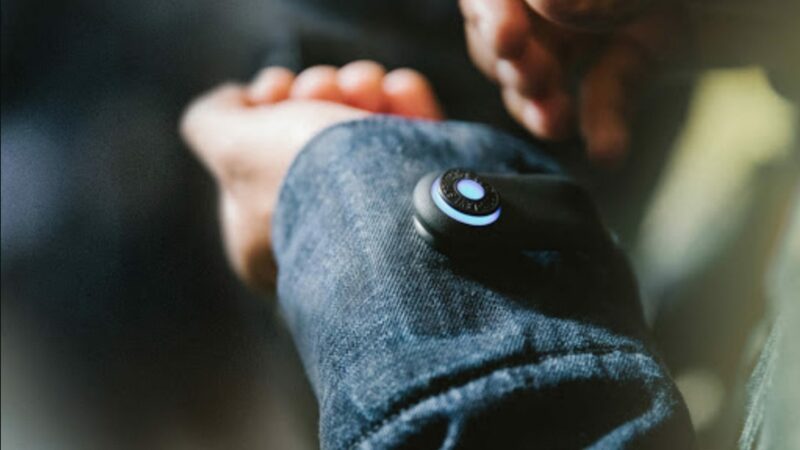 The sleeve features Google’s conductive Jacquard Thread and snap tag (that syncs to smartphone via Bluetooth) which allows the wearer to operate multiple smart functions like screening calls through motions. Markedly, the smart jacket that costs US $ 350 can already use touch inputs to control more such things on smartphone like music controls and map-reading pings within Google Maps. Months back, an update on the Jacquard platform introduced support function for ride-sharing alerts and pin drops on a map to save locations.